One man who has fascinated me is Joseph Davey Cunningham (1812-51). His ‘History of the Sikhs' is a monumental work and deserves the highest praise. I for one have found it as an excellent source of reference. The book brings to the fore an exciting period in Indian history. Who was J.D. Cunningham? People read his book but know little about the man whose life was closely intertwined with the history of Punjab at a tumultuous time in its history. Cunningham was born at Lambeth in 1812 and showed a marked aptitude for mathematics. Joseph's father was advised to send the boy to Cambridge, but he preferred to join the military. 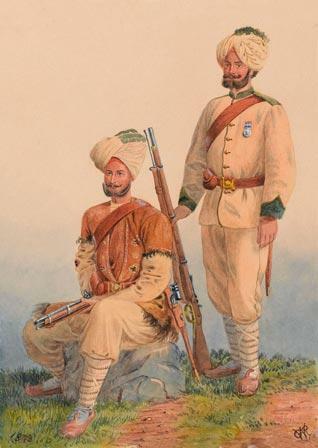 He joined the engineering branch of the British East India army and after passing out from Chatham, he joined the Corps of Sappers and Miners in the Bengal Army. All this was mundane stuff, but his real rise was when he was appointed in 1837 as assistant to Colonel Sir Claude Wade, who was the political agent at Ludhiana and officer-in-charge of British relations with the Punjab and with the chiefs of Afghanistan. For the next eight years he held various appointments under Colonel Wade and his successors, and was, at the time of the outbreak of the first Anglo-Sikh war in 1845, political agent in the state of Bhawalpur. He was present, as political officer, with the division of Sir Harry Smith at the battles of Baddoval and Aliwal. At Sabhraon, he served as an additional aid-de-camp to the Governor-General, Sir Henry Hardinge. His services earned him a brevet and appointment as political agent to the state of Bhopal. Thus Cunningham had first hand account of these critical battles during the so-called "Anglo-Sikh Wars". 'A History of the Sikhs from the Origin of the Nation to the Battles of the Sutlej', by J.D. Cunningham (Oxford, 1949. 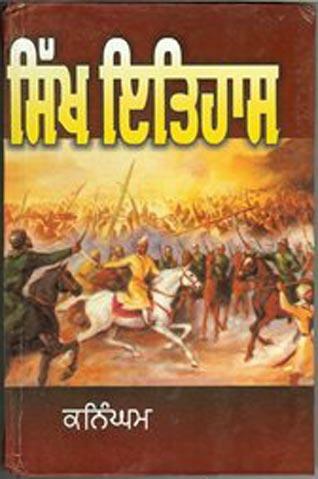 ISBN: 8175360836; ISBN-13: 978-8175360839), is generally recognized as the first serious and sympathetic account of the Sikh people ever written by a foreigner. Cunningham spent considerable time and studied the available materials. In addition he acquainted himself with the Sikh scriptures and all connected manuscripts in Persian and Punjabi. 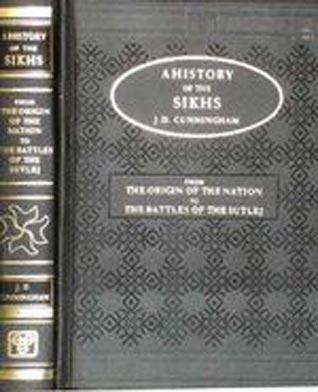 Cunningham was greatly influenced by Sikhism and as per him his main endeavor was "to give Sikhism its place in the general history of humanity, by showing its connection with the different creeds of India ..."
His first four chapters cover the history of the Sikhs from its beginning to 1764. He traced the growth to their religious faith, which he inferred, was the main motive force of their history. He felt that Sikhism appeared at a time in India when the historical situation needed it the most. He felt there was great excellence in Guru Nanak's message. An important feature of Sikhism, in Cunningham's eyes, was its spirit of freedom and progress. The last five chapters covered a period of which Cunningham was himself a witness. He made use of official and secret records of the government of the East India Company for these chapters. A large part of these five chapters dealt with Ranjit Singh's rise to power, his achievements and his relations with the British. Of these, the last chapter entitled "The War with the English," was a scathing criticism of Governor-General Lord Hardinge who, as per Cunningham, had precipitated the war. Cunninghasm paid dearly for that honest criticism. According to Cunningham's analysis, the British won the war, but could very well have lost it as well. As per him the British won because of the treacherous role of the Dogra Hindus, Raja Labh Singh, Raja Tej Singh, the commander-in-chief and Raja Gulab Singh, who had betrayed their own army at crucial points of the campaign. He was all praise for the fighting qualities of the Sikh army. For his analysis of the Sikh history, Cunningham deserves greater accolades as a man and writer than has been conferred on him to date. 1: Sangat Singh (Kuala Lumpur, Malaysia), January 25, 2011, 4:59 PM. That curse of the betrayal of the Hindu Dogras - Messrs. Labh Singh, Teja Singh and Gulab Singh & Co. still remains to this day with millions dead, and yet not succeeded to exorcise that curse. Their infamy would stay in perpetuity as a black mark of their betrayal. Now added to it is the 1984 and Gujarat betrayals. The appetite is yet to be satiated. Maharaja Ranjit Singh is remembered to this day, perhaps more so in Pakistan, as the only one who ruled with unprecedented fairness to all, regardless of caste, creed, colour or religion. The Lahore museum still respectfully bears the testimony and remembers that most benign and just ruler that the subcontinent ever had. This is all fondly recorded in the book 'The Real Ranjit Singh' by the Fakir family. Cunningham indeed has the honour of remaining an honest and daring historian and will continue to occupy a worthy place in history, for his fearlessly recorded eye-witness accounts - despite the flak drawn from his own countrymen who gave lesser weight to truth and integrity. 2: I. J. Singh (New York, U.S.A.), January 26, 2011, 8:13 AM. A wonderful and well deserved tribute to the pioneering great historian of Sikhism whose intellectual integrity and appreciation of Sikhism shine through. 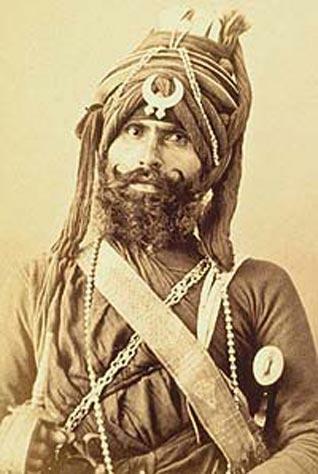 3: Joginder Singh Marhala (Amritsar, Punjab. ), January 29, 2011, 9:30 AM. The article provides the most correct information re the Anglo-Sikh wars. Also, it tells of the courage of this great historian in disclosing the illegal shenanigans of Governor General Hardinge, for which he - Cunningham - paid heavily. One thing I would like to add: one of three Hindu dogras who betrayed the Sikhs was Raja Lal Singh, not Labh Singh. 4: Josephine Leach (Australia), January 04, 2013, 11:08 PM. Joseph Davey Cunningham was the brother of my great great grandfather. I have never known much about him and have found your article very interesting. I have understood that he died of cholera. 5: Vijay Paul (Mumbai, India), April 11, 2013, 12:06 AM. Joseph Davey Cunningham does great service to an indomitable people who possessed raw courage born of fervent belief in the egalitarian principles of Nanak and Gobind. The sensitive portrayal of the undying valour that propelled the Sikhs to build a powerful state in one of the most turbulent parts of India is much valued as Sikhs have only recently ventured into the scholarly domain of studying their own roots. The heart goes out to these bravehearts with the question, "What would they be if the common Sikh's courage, industry and faith had been channelized by sagacious and honest leaders?" They deserved and still deserve better leadership. God bless. 6: Dalip Singh (India), October 17, 2015, 8:53 AM. Cunningham was a great historian. He related Sikh history with honesty and courage. Comment on "Joseph Davey Cunningham: An Honest & Daring Historian"